The College of Geosciences hosted a special guest during summer commencement. 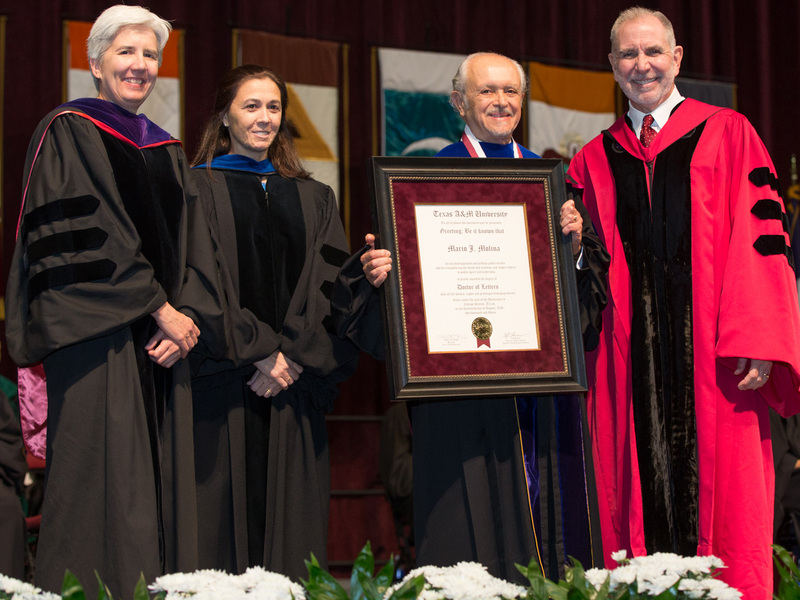 Dr. Mario Molina, 1995 Nobel laureate for chemistry and 2013 Medal of Freedom recipient, was at Texas A&M to receive an honorary doctor of letters degree. Molina has special ties with the college through his relationship with Dr. Renyi Zhang when the latter was studying at MIT. Molina supervised Zhang’s dissertation, and the bond has remained for more than two decades. Molina has given seminars, collaborated on research projects and donated more than $1 million dollars in research and equipment to the department. The faculty in Atmospheric Sciences nominated Molina for the honor. Molina's studies on chlorofluorocarbons found in aerosol products and refrigeration units that deplete the ozone layer led to international regulation of the chemicals through the Montreal Protocol, which became effective in 1989. President Mike Young, who served as an environmental affairs ambassador and policy adviser for the U.S. Department of State before he came to Texas A&M, said Molina's collaborative efforts with Texas A&M faculty and his pioneering studies as "one of the most prominent atmospheric chemists in the world" make him deserving of the honor. Dr. Kate Miller, dean of the College of Geosciences, said that the school's ties with Molina has contributed to its faculty members emerging as leading authorities in atmospheric chemistry research and on international climate issues. "We are confident that an ongoing relationship with Dr. Molina will further enhance Texas A&M's ability to develop innovative international science and policy programs to cope with environmental issues that cross national boundaries," she said. 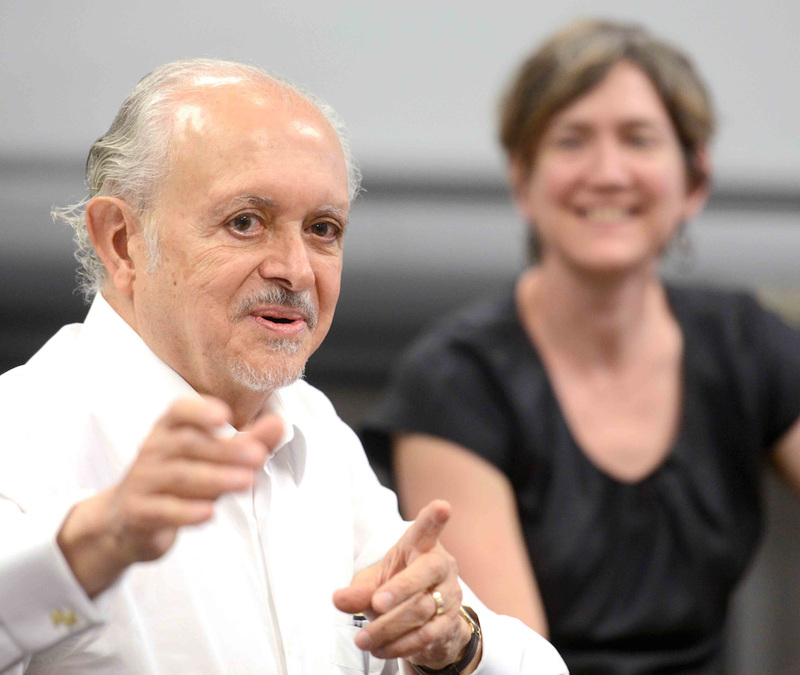 Photos: Kate Miller, dean, Blanca Lupiani, interim dean of faculties, Mario Molina, and Mike Young, president of Texas A&M University welcome Molina as the newest Aggie. Earlier in the day, Molina held an informal question-and-answer session with students and faculty from Atmospheric Sciences.